I AM A WOMAN HEAR ME ROAR! What a month March has been! Last month I shared with you my advice and the secrets to my success, which I hope had some relevance for you. I have been so fortunate to have worked with some amazing people this month and I hope you have had a wonderful, positive and productive month as well. You may recall I shared last month that I had the honour of presenting at the Professional Speakers Australia National Convention. One of my keynote addresses was entitled “BRAVEHEARTS”. It was a session with five other strong, courageous and inspirational women where we were asked to step outside of our comfort zone and display bravery by speaking about something we had never shared before to our ‘tribe’ of professional speakers. My sister presenters spoke of deeply personal trials, shattering life experiences and amazing stories of recovery and triumph. I chose to speak about something I had never shared with clients before because up until now, I have felt this aspect of my story did not serve those that I have worked with. Entitled, “Eight and-A-Half-Hours”, my presentation saw me speaking in detail for the first time about the period I was held hostage in Iraq. I shared exactly what happened to me, and what was done to me in front of my male colleagues by our terrorist captors. It was a powerful, emotional and exhausting experience, but the bonds I made with my fellow presenters and the wisdom they shared with me through their courage will remain with me forever. This experience was beautifully timed with the March 8 celebration of International Women’s Day (IWD). 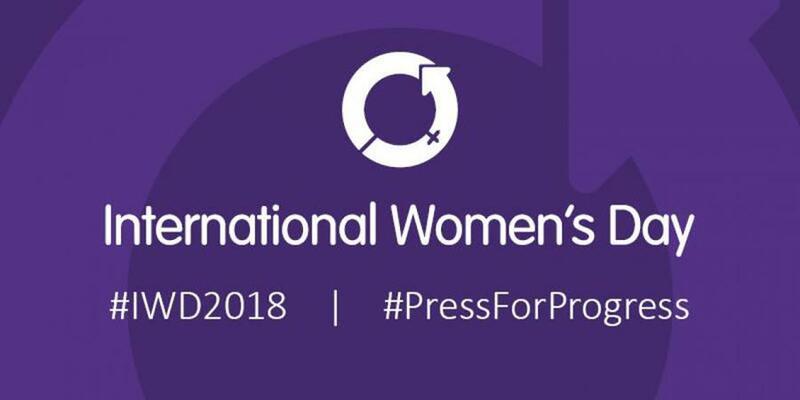 In reflecting on this year’s IWD theme, ‘Press For Progress’ I spoke on the progress that has been made over the last century for women’s rights and equality in general. I acknowledged that we stand on the shoulders of all those brave women that came before us, who fought for the many rights and opportunities that we now take for granted. However, I also lamented the inequality and suffering still experienced by girls and women all around the world and the work that still needs to be done by men and women everywhere to address these inequities. To be biologically capable of giving life, if we choose to do so, and of being able to embrace both our feminine and our power is such a privilege. Today, unlike our sisters that came before us, we have the right to vote, to work, to have flexible work practices (though more work is needed here), to receive equal pay for equal work (still very much a work in progress), to love who we want and to speak out in protection of our rights and freedoms. However, this is not the case for all women of the world. Millions of girls and women on our planet still do not have access to basic education and health care. Many girls are still forced into child marriages, slavery and are mutilated in pursuit of a warped sense of chastity. What women all over the world are either enjoying, embracing or fighting for is CHOICE. Choice in terms of how we live our lives, what work we do (if any), whether we wish to have a family or not and the freedom to control our own futures. Due to the recent politics of fear and division sweeping our planet, women all over the world are now coming together in unity, realising that our power comes from when we once again lift each other up and help fan each other’s flames so that our fires can burn brightly. It’s an exciting time to be a woman, but true equality will take vigilance, commitment and perseverance. This is a goal that, for many of us, is worth pursuing and fighting for. 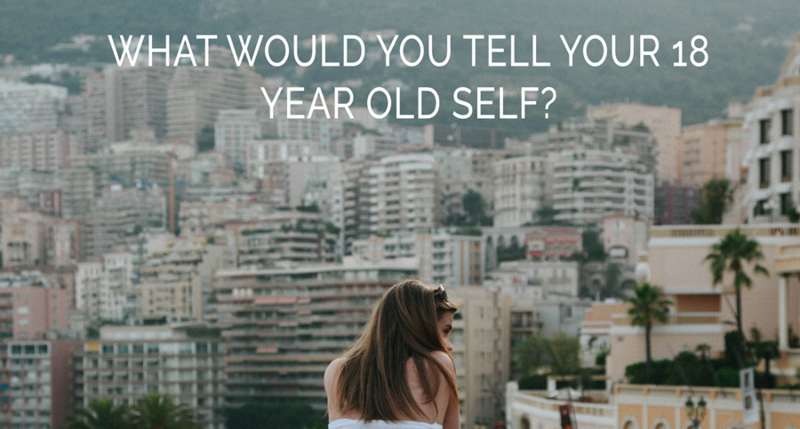 I would tell my 18-year-old self not to waste time and energy worrying about or fearing what others, even those close to you, might say or think about your life choices. I would tell 18-year-old Rabia to fully embrace her uniqueness, her skills and talents, and to not be afraid of marching to her own drum and pursuing her dreams and passions on her own. I would remind her there is a big world out there waiting for her to explore, to experience and to impact. I would remind her that she has the capacity to create ripples of change in her life and in the lives of others around her if she remains true to her values and commits to living an aligned life. Finally, I would be honest with her and tell her she will have heartache, she will experience set backs and she will suffer loss. At the same time, all of these challenges will also bring the gifts of greater wisdom, resilience and compassion. I hope some of these sentiments resonate with all of you – women and men alike.